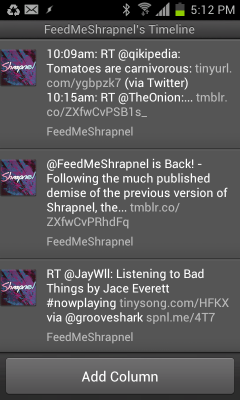 It seems as though my automatically scheduled late night links post last night didn’t get posted to the site’s @FeedMeShrapnel twitter feed. I don’t know if that was the result of it being a scheduled post, or just a one-off glitch. I’m going to test it with this post. If scheduled posts don’t show up then I will need to either rethink the way my Late Night Links posts get posted every week, or rethink the way the twitter feed is run. We’ll see.